IPI-549 is a potent and selective phosphoinositide-3-kinase (PI3Kγ) Inhibitor as an Immuno-Oncology Clinical Candidate (Kd = 0.29 nM). Bioactivity data of IPI-549: biochemcial IC50 (nM) for PI3K isoform: 3200 (α); 3500 (β); 16 (γ); and >8400 (δ) respectively. Cellar IC50 (nM) of IPI549 for PI3K isoform: 250 (α); 240 (β); 1.6 (γ); and 180 (δ) respectively. IPI-549 shows >100-fold selectivity over other lipid and protein kinases. IPI-549 demonstrates favorable pharmacokinetic properties and robust inhibition of PI3K-γ mediated neutrophil migration in vivo and is currently in Phase 1 clinical evaluation in subjects with advanced solid tumors. EDC (1.25 equiv) were added to a 200 mL round bottomed flask with a stir bar. N,N-Dimethylformamide (50 mL) was added and the suspension was stirred at RT for 2 min. Hunig’s base (4.0 equiv) was added and after which the suspension became homogeneous and was stirred for 22h resulting in the formation of a solid cake in the reaction flask. The solid mixture was added to water (600 mL) and stirred for 3h. The resulting cream colored solid was filtered and washed with water (2 x 100 mL) and dried. The solid was then dissolved in methylene chloride (40 mL) after which trifluoroacetic acid (10 equiv, 20 mL) was added and the reaction was stirred for 30 min at RT after which there is no more starting material by LC/MS analysis. The solution was then concentrated and coevaporated with a mixture of methylene choride/ethanol (1 : 1 v/v) and then dried under high vacuum overnight. The resulting solid was triturated with 60 mL of ethanol for lh and then collected via vacuum filtration. The beige solid was then neutralized with sodium carbonate solution (100 mL) and then transferred to a separatory funnel with methylene chloride (350 mL). The water layer was extracted with an additional 100 mL of methylene chloride. The combined organic layers were dried over sodium sulfate, filtered and concentrated under vacuum to provide a pale yellow solid that was purified using flash silica gel chromatography (Combiflash, 24g column, gradient of 0-5% methanol/methylene chloride) to provide amide B. ESI-MS m/z: 459.4 [M+H]+. Amide B was placed in a sealed tube (0.67 mmol, 1.0 equiv) followed by dichlorobis(acetonitrile)palladium (15 mol%), X-Phos (45 mol%), and cesium carbonate (3.0 equiv) Propionitrile (5 mL) was added and the mixture was bubbled with Ar for 1 min. 4-Ethynyl-l -methyl- lH-pyrazole (1.24 equiv) was added and the resulting orange mixture was sealed and stirred in an oil bath at 85 oC for 1.5h. The resulting brownish-black mixture was allowed to cool at which point there was no more SM by LC/MS analysis. The mixture was then filtered through a short plug of cotton using acetonitrile and methylene chloride. The combined filtrates were concentrated onto silica gel and purified using flash silica gel chromatography (Combiflash, 4g column, gradient of 0-5% methylene chloride/methanol). The resulting material was further purified by reverse phase HPLC (15-90%o acetonitrile with 0.1%o formic acid/water with 0.1%o formic water) to provide desired compound 4. ESI-MS m/z: 529.5 [M+H]+. Compound 1 is coupled to 4-ethynyl-1-methyl-1H-pyrazole using the general procedure outlined above to provide compound 26 IPI-549, in 70% yield with >98% enantiomeric purity. 1H NMR (400 MHz, DMSO-d6) δ 8.92 (dd, J = 6.8, 1.7 Hz, 1H), 8.55 (dd, J = 4.5, 1.7 Hz, 1H), 8.00 (d, J=6.8 Hz, 1H), 8.00 (s, 1H), 7.69 – 7.54 (m, 5H), 7.53 – 7.43 (m, 3H), 7.41 – 7.35 (m, 1H), 7.01 (dd, J = 6.7, 4.5 Hz, 1H), 6.74 (s, 1H), 6.42 (s, 2H), 4.56 (quin, J = 6.8 Hz, 1H). ), 3.82 (s, 3H), 1.35 (d, J = 6.8 Hz, 3H). 13C NMR (101 MHz, DMSO-d6) δ 162.73, 161.19, 160.93, 150.06, 147.51, 146.74, 141.05, 138.09, 137.81, 135.42, 133.66, 132.56, 131.90, 129.51, 129.24, 129.20, 129.17, 128.50, 126.16, 123.41, 123.31, 107.88, 102.44, 101.15, 90.40, 87.06, 85.94, 44.88, 38.62, 20.69. ESI-HRMS: calcd for 529.2095 C30H25N8O2 (M+H)+ , found 529.2148.
compound 1 in 95% yield. ESI-HRMS: calcd for C24H20ClN6O2 459.1331 (M+H)+ , found 459.1386. HPLC Purity: 96% AUC. Optimization of isoquinolinone PI3K inhibitors led to the discovery of a potent inhibitor of PI3K-γ (26 or IPI-549) with >100-fold selectivity over other lipid and protein kinases. IPI-549 demonstrates favorable pharmacokinetic properties and robust inhibition of PI3K-γ mediated neutrophil migration in vivo and is currently in Phase 1 clinical evaluation in subjects with advanced solid tumors. CAMBRIDGE, Mass.–(BUSINESS WIRE)–Infinity Pharmaceuticals, Inc. (NASDAQ: INFI) today announced the expansion of its pipeline with the addition of IPI-549, an orally administered immuno-oncology development candidate that selectively inhibits phosphoinositide-3-kinase gamma (PI3K-gamma), for the treatment of solid tumors. 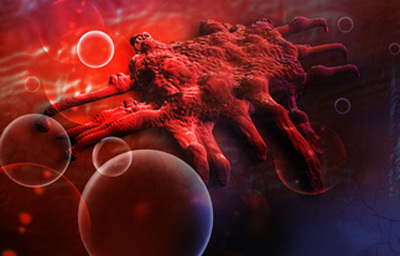 Preclinical data demonstrating the potential of IPI-549 to disrupt the immune-suppressive tumor microenvironment and enable a heightened anti-tumor immune response are being presented today at CRI-CIMT-EATI-AACR – The Inaugural International Cancer Immunotherapy Conference: Translating Science into Survival Meeting in New York City. IPI-549 was discovered at Infinity and is expected to enter Phase 1 clinical development in early 2016. IPI-549 inhibits immune suppressive macrophages within the tumor microenvironment, whereas other immunotherapies such as checkpoint modulators more directly target immune effector cell function. As such, IPI-549 may have the potential to treat a broad range of solid tumors and represents a potentially complementary approach to restoring anti-tumor immunity in combination with other immunotherapies such as checkpoint inhibitors. In vitro data showed that IPI-549 blocks both the migration of murine myeloid cells and the differentiation of myeloid cells to the M2 phenotype, which is a type of myeloid cell known to promote cancer growth and suppress anti-tumor immune responses. In vivo data in murine solid tumor models demonstrated that IPI-549 treatment also decreased tumor-associated myeloid cells found in the immune suppressive microenvironment. Additionally, IPI-549 treatment increased the number of intratumoral CD8+T-cells, which are known to play a role in inhibiting tumor growth. IPI-549 has demonstrated dose-dependent, single-agent, anti-tumor activity in multiple solid tumor models, including murine models of lung, colon and breast cancer. Additionally, mice treated with IPI-549 in combination with checkpoint inhibitors showed greater tumor growth inhibition than either treatment as a monotherapy. Preclinical in vivo data also demonstrated that T-cells are required for the anti-tumor activity of IPI-549, which is a hallmark of immunotherapy. Further details about the IPI-549 development program will be provided at Infinity’s R&D Day on Tuesday, October 6, 2015. R&D Day will be held in New York City from 7:30 a.m. to 12:00 p.m. ET. The event will be webcast beginning at 8:00 a.m. ET and can be accessed in the Investors/Media section of Infinity’s website, www.infi.com. A replay of the event will also be available. Infinity is also developing duvelisib, an investigational, oral, dual inhibitor of PI3K-delta and PI3K-gamma. The PI3K pathway is also known to play a critical role in regulating the growth and survival of certain types of blood cancers. The investigational agent is being evaluated in registration-focused studies, including DYNAMOTM, a Phase 2 study in patients with refractory indolent non-Hodgkin lymphoma, DYNAMO+R, a Phase 3 study in patients with previously treated follicular lymphoma, and DUOTM, a Phase 3 study in patients with relapsed/refractory chronic lymphocytic leukemia. Duvelisib is an investigational compound and its safety and efficacy have not been evaluated by the U.S. Food and Drug Administration or any other health authority. IPI-549-01-A phase 1/1b first in human study of IPI-549, a PI3K-γ inhibitor, as monotherapy and in combination with pembrolizumab in subjects with advanced solid tumors.